These are the DVD'S from 3 Day Top Gun Commercial Financing Workshop. This is the unedited audios from a 3 day portfolio financing conference where Durante' reveals the entire story of how he financed a portfolio of 31 commercial properties valued over $100 Million Dollars using his Bank to Bank financing program. This is a actual case study of a portfolio acquisition that was financed at 100% via a sell lease back transactions. The portfolio was sold netting a 2.6Million profit in 30 Days. This is our signature online home study course designed to be completed in 8 Weeks. It contains week by week instructions and resources to getting started in the commercial financing and investing business. It covers, Lender Selection, Program Selection, Fee Structuring, Advance Marketing, How To Locate Commercial Properties without realtors or third parties. This system has generated over $1 Billion In commercial loans using the Top Gun Financing Secret System. This training is anchored on solid financing fundamentals with no hype and pie in the sky methods. This course begins with lender interviews, selecting the best financing programs, building long term relationships with lenders. Next is covers how to locate and work with professional property buyers. The training concludes with qualifying clients in 30 Minutes or less. This is our signature product for building a commercial financing Business. It contains, Lenders, Property Buyers, Forms, contracts, scripts, and numerous commercial financing tools and resources. This is the resource we used to build our business from ground zero into a Multi - Million Dollar Home Base Business. It contains niche commercial property Lenders And Professional Commercial Property Buyers Side By Side. There's no need to ever contact realtors for properties or Broker for financing, it has them all. When coupled with the 8 Weeks To Financial Freedom blueprint, you'll have all the tools and resources for starting your own commercial financing business. This resource provided the tools and the 8 Week Training Program Provides step by step blue print to follow. This is the actual tool box that Durante designed for his personal use. When you to secure financing fast there's nothing like knowing that you have the tools to get the job done. In the world of "Commercial Financing" it' all about speed of implementation. Your ability to get fast results is essential to your survival. Sure I can use Google and sort through thousands of pages. I rather use my search automator and get more targeted and organized results. I was so impressed with this tools that I had my own custom version made. 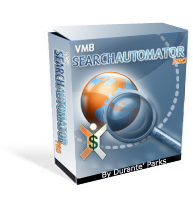 Whether it's Locating Funders for my international financing projects, or locating a hard money lender for a FAST closing, or simply doing Market Research to enhance a funding proposal or title research... my VMB Search Automator is my first choice, over Google even after $800 Million In transactions. This is truly a "Top Gun Financing" resource that should be in every financier's and investors tool box. The best feature is the way it organizes the search results. Truly awesome! Now you can level the playing field! This software provides a automated solution for managing your Lenders, and Commercial Property inventories. The program is very scalable and allows you to create custom and rules for fast data retrieval. We us it to match BuyersAnd Sellers information and data management. It provides a way to manage lenders and inventories of commercial properties. 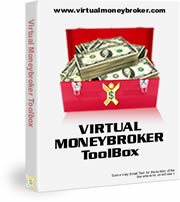 It also includes a direct link to the Virtual Money Broker Tool Box creating a complete financing system. This software is provided to our members and will be released to the general public in late 2008. 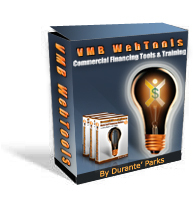 This is our online marketing resource package with over 30 videos and software products for marketing your commercial financing business online. It Includes domain name selection, hosting selection, list building, email marketing, cpanel videos, google ad words training, blogging training and everything needed to begin marketing your business online. This is a comprehensive internet marketing package exclusively for the commercial financier and the commercial property investors. 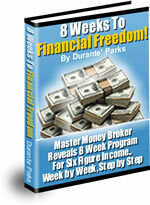 This package includes a complete course on how to earn massive profits online with your commercial financing business. ATTENTION: You’re about to crack the code. You’re about to enter the elite fraternity of internet business owners who are able to generate free targeted traffic at will - and how to leverage this to earn big bucks! Copyright © 2008 Top Gun Commercial Financing Workshops. All Rights Reserved.